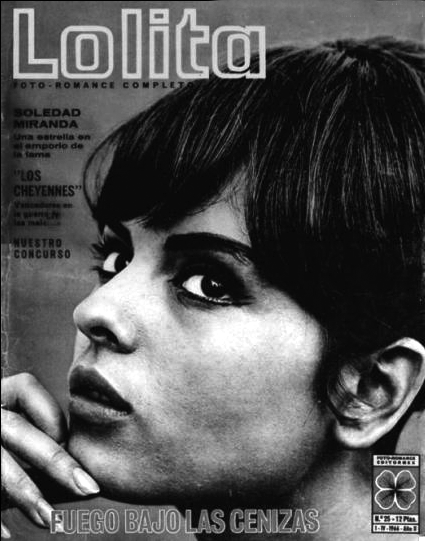 Soledad Miranda, more than 35 years after her tragic death on a car accident, she’s still not forgotten, as her work in Jesus Franco’s films of the late ’60s/early ’70s achived cult status. 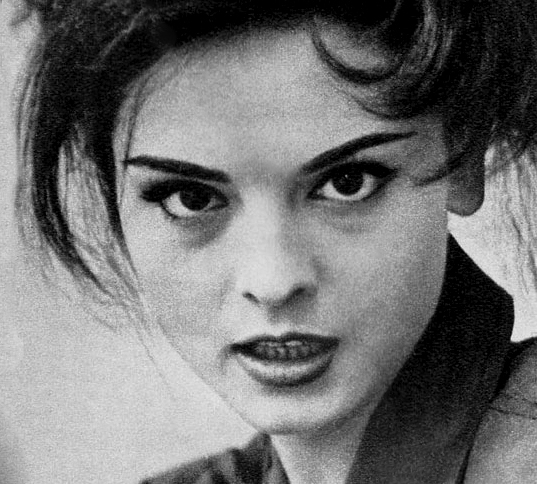 Born on July 9, 1943, in Seville, Spain, she was only eight years old when she entered a talent competition of flamenco dancing. She would eventually befriend singer and dancer Mikaele Wood, with which she would live with in her early teens. 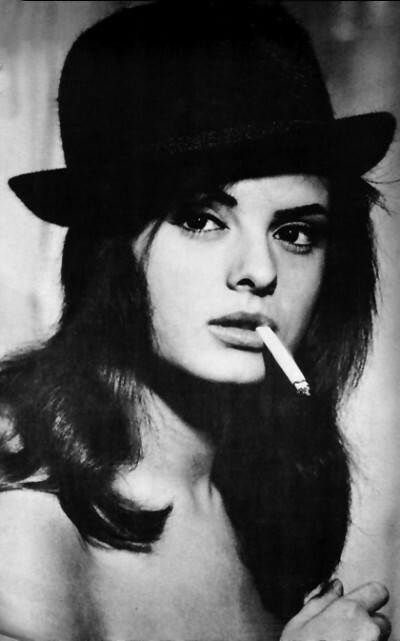 Soledad made her film debut as a dancer in La bella Mimi, at the age of 16. Jesus Franco coaxed her in casting for his production of Count Dracula. 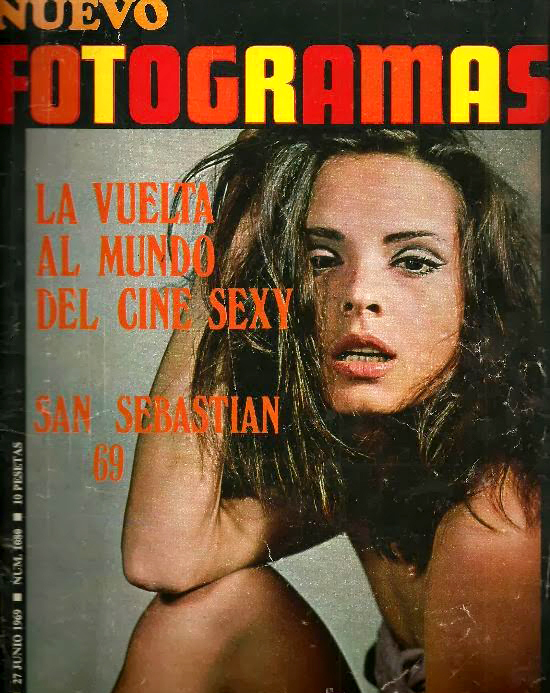 Soledad would be responsible for one of Franco’s best pictures. Even Christopher Lee, admitted that she possessed an unique quality. 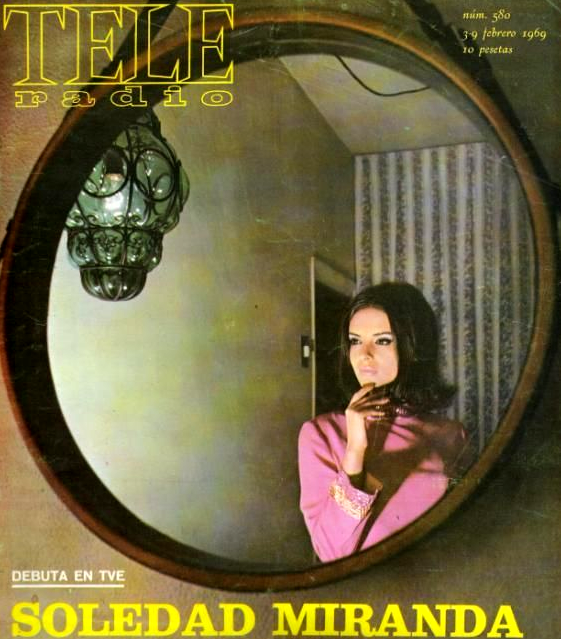 There is a documentary about the troubled shooting of Count Dracula, entitled Vampir, containing the only footage of Soledad as herself. To protect her family, she decided to adopt the pseudonym of Susann Korda. 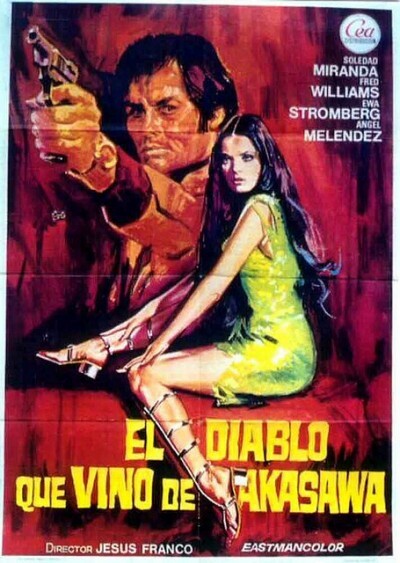 Franco directed a memorable trio of scripts, cementing Soledad Miranda’s legend for eternity; Vampyros Lesbos, She Killed in Ecstasy and The Devil Came from Akasava. 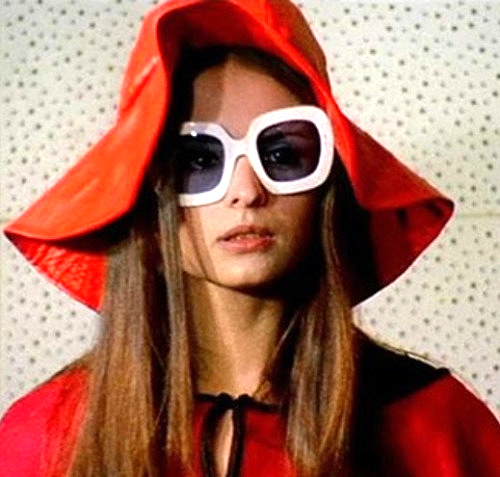 First came her most widely-known role, for Vampyros Lesbos. In this truly unique vision of vampire folklore, Soledad plays Countess Nadia, on the prowl for young women to seduce and bring back to her sunny island. 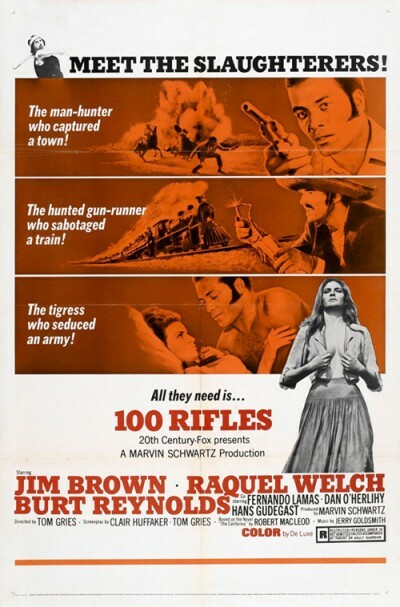 Stills from this movie are classics of the horror genre. The fresh-faced young ingenue had become an haunted-looking, enigmatic presence, with an aura that would characterize Soledad Miranda work to come. Soledad, co-starred Burt Reynolds and Raquel Welch in 1969 film 100 Rifles. German producer Arthur Brauner offered Soledad a three-year contract to star in two big-budgeted film per year. International stardom was just an heartbeat away. 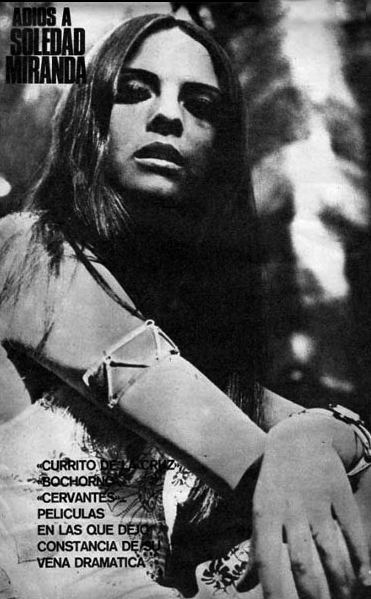 The very next day, August 18, 1970, Soledad and her husband were involved in a car crash on a Lisbon highway, as they were on their way to read and approve the contract.